If only we still knew how to “romance” like this! If you are a single woman – or if you are already dating someone – and you live in Southern California, you are invited to join in on our newest Workshop Series, April 14th through June 30th, in Newport Beach. When it comes to the Dance of Romance, the Music Matters. Why? Because Music sets the emotional tone of your relationship. We’ll talk about the challenges of dating as a Christian woman … as well as unravel the Marvelous Mystery of Men! All dating and single ladies (ages 18 and older) are welcome! and end promptly at 8:30 pm. Get the details or PURCHASE YOUR SEASON PASS here! 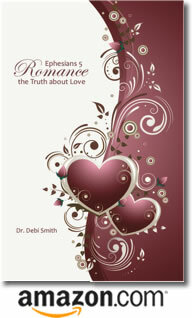 Posted by occhristiancounseling in Dr. Debi Smith, marriage, sexuality. Woman is one of God’s greatest inventions. He created her specifically to meet the relational, emotional, and physical needs of His first greatest invention: man. He designed her in such a way that man was automatically drawn to her in wonder … she joyously gave herself to him … and both enjoyed rapture everlasting. softly fly the golden hours. naught of sadness lingers near. floods of joy o’erflow my heart. thine forever is my life. The dew-freshened morning, O bright awakening! The coolness of evening, sweetly restoring! How rich the taste of round and ripened fruit! How charming the scent of gay and fragrant flower! with thee is rapture everlasting. Thine be my love and life. Through sin and shame, however, the beauty of the male-female relationship became tarnished … convoluted … mixed up and messed up. Instead of rejoicing in our differences, we become afraid of losing ourselves to the other. In fear, we hide. Or we seek to control and change one another to be more like ourselves … as though we were God Himself and, therefore, mindful of the only “right” way of being, which always backfires with serious and detrimental results. Throughout history, we see examples of the exploitation of God’s creation. We see woman used and abused by man, diminished in importance by his use of her for his pleasure and power. In today’s environment, we also have examples of how man is abused by woman, diminished in importance by her use of him. We don’t call it that, however. Instead, we tend to blame our victim. Man abused? Seriously? Yes. I do realize that there are clearly documented cases of women being mistreated, but men are also mistreated and abused … and in more ways than we can ever imagine. Most men (certainly not all) are reasonably healthy, caring people. But they walk and they talk and they act differently than we women do. And that both intrigues and frustrates us. Unfortunately, our response to these differences is to try to make them into women … which defeats the purpose. In short, many of our responses to our men are emasculating … and we don’t even realize we’re doing it! Recognize that he has needs. Find out what they are. Develop the skill of reading your man and loving him in a way that makes him feel loved, trusted, and respected. This will take a lifetime, and can be loads of fun … for both of you! Finally, when he refers to you as his “sweet companion” (or some other, but equally endearing term), you’ll know you’re on the right track! Posted by occhristiancounseling in sexuality, understanding men, understanding women.